Like any woman on the go, you want to look polished and stylishly put-together at all times. And like most modern fashionistas leading busy lifestyles, you’re always on the hunt for new tips and hacks to help you do just that. But when it comes to your office wardrobe, you’re stumped. Not to worry, as we’ve put together some of the best tips out there to help you save time and always look just right at work. This first tip is one of the best ways to save both money and time in the rushed mornings. Focus on creating a curated wardrobe, based on neutral foundation pieces. Opt for black, grey and navy, with a few shades of beige and white in the mix. Go for blazers, pantsuits and pencil skirts in classic, streamlined cuts that are versatile rather than trendy. Next, add a few tops in bold colors or prints to spice up your look. Curating your wardrobe this way will allow you to mix and match your pieces in multiple ways, while always looking put-together and chic. The quickest way to elevate any work outfit is with the right pair of shoes. And the good news is that this little tip works even if you’re planning on wearing flats to work. 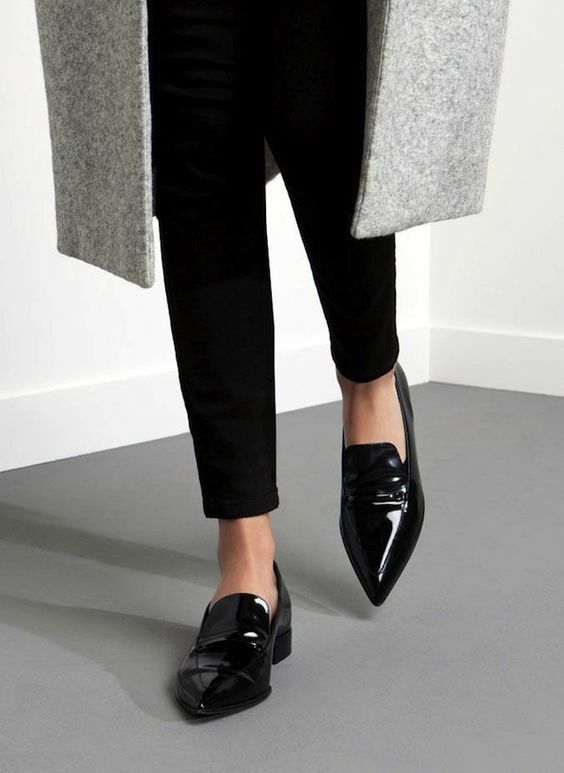 To look instantly more professional, simply opt for pointed shoes. Whether you’re going for sleek heeled pumps or a pair of androgynous flats. A pointed toe looks infinitely more elegant than rounded ones. 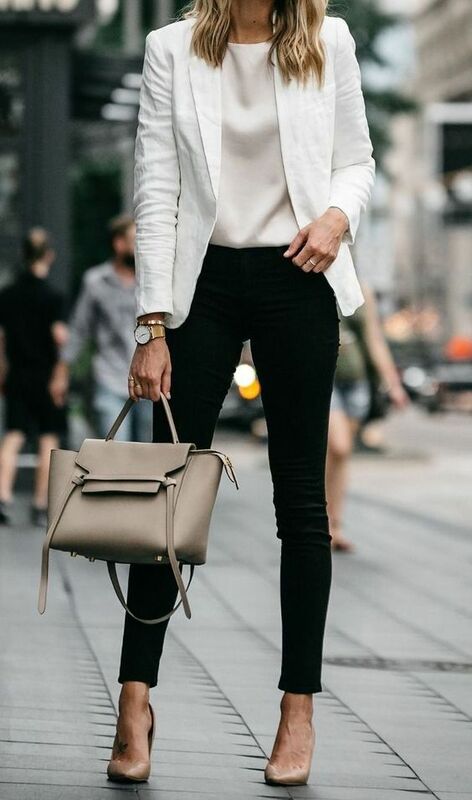 Regardless if you’re rocking a little black dress or a more casual ensemble, sleek shoes will definitely make you look office-ready. Whether you love a good, elegant watch or a discreet piece of bling, investing in high-quality, classic accessories is the best way to go. When it comes to your workplace wardrobe, less is usually more in the accessorizing department. A statement bag that you can wear for years to come is a good place to start. Pro tip: opt for elegant lines that add a touch of sophistication to your professional look. If you love accessorizing, go for pearl jewelry pieces (either a necklace, a pearl ring or a bracelet) in classic yellow or white gold to add a discreet, yet refined note to your office-ready look. Aim to achieve a signature combination of jewelry pieces that you can wear on repeat in order to simplify your morning routine. Looking impeccable at the office is less about dressing up in the trendiest fashions and more about looking professional and neat. And the best place to start is by making sure that your office-ready ensembles are wrinkle-free. Quick tip: keep a hair straightener in your office drawer for those times when necessity strikes – and we don’t just mean a bad hair day. Use the straightener to perfectly iron the collar of your shirt for a sharp look that instantly elevates your outfit. Extra tip: this hair tool works perfectly on sleeves as well! A button-down that fits perfectly is essential when aiming to look professional in your work environment. And if you are the owner of C+ cup bust, you already know the struggle. To make your shirt fit to perfection without having to go up a size in order to accommodate your bust, use this next trick. Simply place tiny squares of double sided tape in between your buttons to avoid inappropriately flashing skin at work. Easy, fast and totally effective, this tip is a definite lifesaver. Whether you work in a corporate environment or just starting out in your career, looking put-together at work is imperative. With the right kind of capsule wardrobe, perfect shoes, accessories and a few style hacks, you’re sure to be on the right style track. Carla Jonas is a writer at one of the biggest pearl jewelry retailers in the world – The Pearl Source. Carla loves sharing anything and everything about jewelry and fashion as well as spread positive energy!